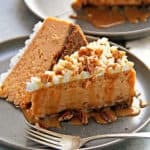 Decadent, creamy and perfectly luscious, this sweet potato cheesecake recipe is the best of sweet potato pie but even richer and more delicious! If you know anything about Grandbaby Cakes, you definitely know that family traditions are super important to me. They are the main ingredient in all of my recipes. As much as heritage is the backbone of everything I do, I am so excited to adopt new rituals that mean just as much to me. My friends have always been such an important part of my life. That’s why Friendsgiving is becoming so integral to my holiday celebrations each year. This year, I’m having a couple of Friendsgiving celebration potlucks that I just can’t wait for. 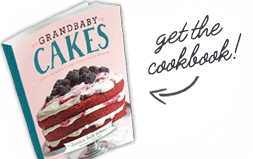 With a name like Grandbaby Cakes, it goes without saying that I’m usually in charge of dessert. I love dessert on holidays because I truly believe it is about saving the best for last. I can’t think of a better way for a holiday to end than with a slice of something decadent and sweet served with a side of laughter and love from family and friends. 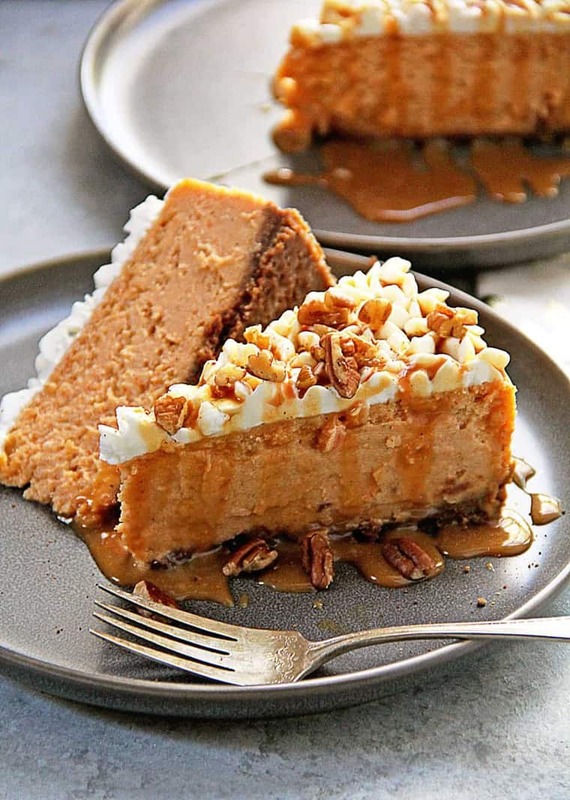 Why Try this Sweet Potato Cheesecake Recipe? This Sweet Potato Cheesecake is the best of all things old and new. In my family, sweet potato pie is the magical mainstay for the dessert table. It is epic in every possible way and is one of the most important last courses of our meal. While most wouldn’t play around with the classics, I believe messing with tradition is something I excel at. I love playing with new flavors in traditional recipes that my family and friends know and love. This cheesecake combines the vintage elements of sweet potato pie with cheesecake in a fresh and modern way. The end result is smooth, creamy, and luscious. When you taste it, you are reminded of pie but with a much richer and indulgent experience. 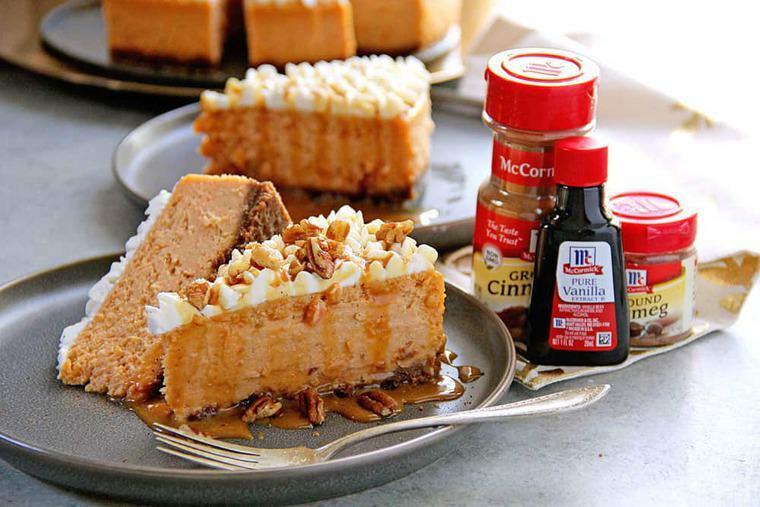 To really amp up the flavor in this cheesecake, I added McCormick vanilla extract because the flavor is so pure and adds such a wonderful essence to sweet potatoes. I also added McCormick ground cinnamon and ground nutmeg for a lovely spice kick perfect for the holiday season. Each of these McCormick flavors enhances the unique character of sweet potatoes in a wonderfully distinctive way. 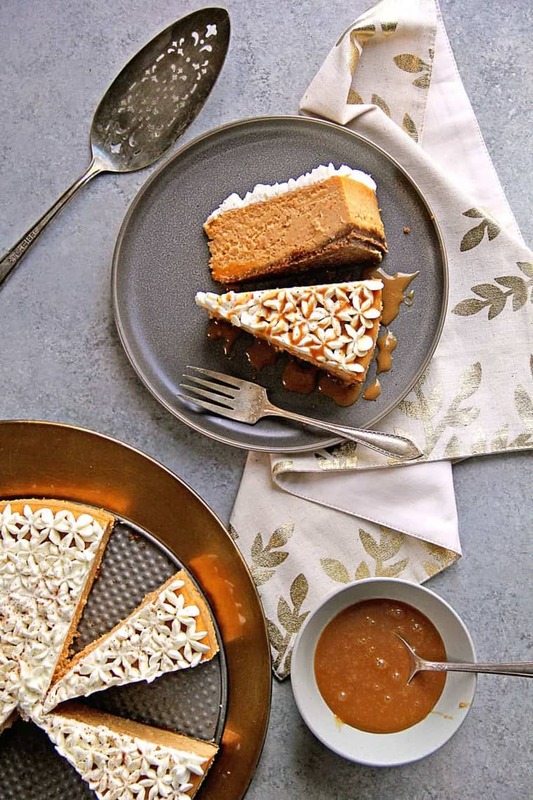 Trust me when I say you need this beautiful Sweet Potato Cheesecake on your Friendsgiving dessert table. After you have had your share of other amazing Friendsgiving McCormick recipes like this Smoked Turkey, this Cheesy Potato Casserole, or these Thanksgiving Cranberry Deviled Eggs, I’d love to see photos of this cheesecake served right in your home at your own wonderful celebrations. Make sure you share photos on social media using the hashtag #noflavorlikehome so you can enter the No Flavor Like Home Sweepstakes here. I can’t think of a better dish to bring family and friends together around. 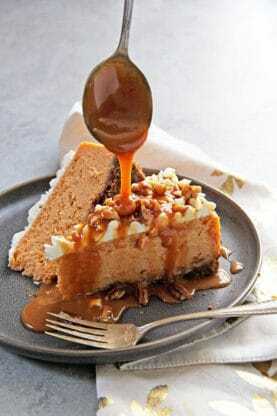 Disclosure: I partnered with McCormick for this Spiced Sweet Potato Cheesecake recipe post, but all opinions expressed here are my own. I am grateful for authentic partnerships like this. Spiced Sweet Potato Cheesecake Recipe - Decadent, creamy and perfectly luscious, this sweet potato cheesecake is the best of sweet potato pie but even richer and more delicious! Preheat oven to 350 degrees. Spray a 9 inch spring form pan with non-stick baking spray. Make sure it is completely secure. Whisk together gingersnaps, sugar, and butter. Press gingersnap crust into the bottom of the pan and bake for 10 minutes then set aside. 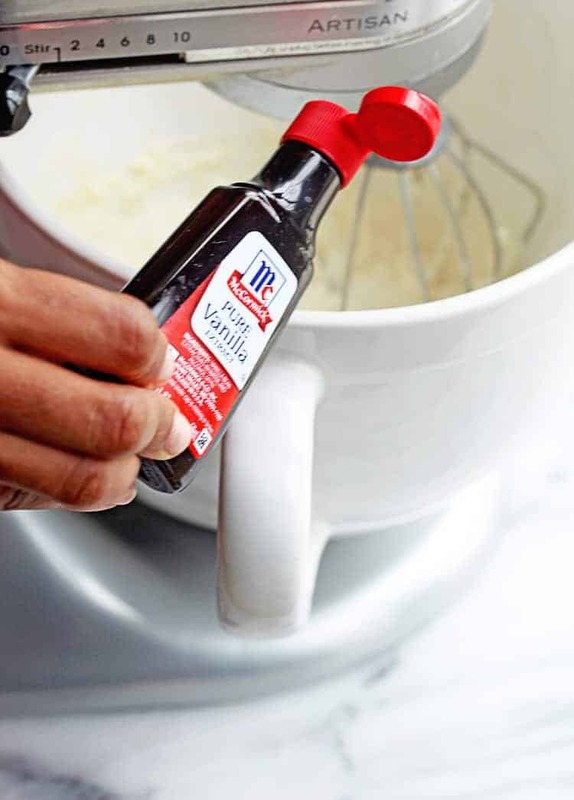 Add cream cheese, sour cream, heavy cream, brown sugar and granulated sugar to the mixing bowl and mix for about 4-5 minutes on high speed until well mixed. Mix in four eggs in one at a time until well incorporated then add in sweet potatoes and blend well. Slow mixer down to medium low and add flour, vanilla, ground cinnamon and nutmeg then add mixture into the springform pan. Bake for 1 hour then turn off oven and leave cheesecake in the oven with door closed for 4 hours. Remove cheesecake from oven and refrigerate overnight. Serve with caramel sauce, nuts and whipped cream if desired. Hooray let me know how it turns out for you! Could this be made into cheesecake bars? If so, how would you recommend doing it? You could bake this in an 8×8 square pan and then cut them into squares but I would add parchment paper to the bottom. 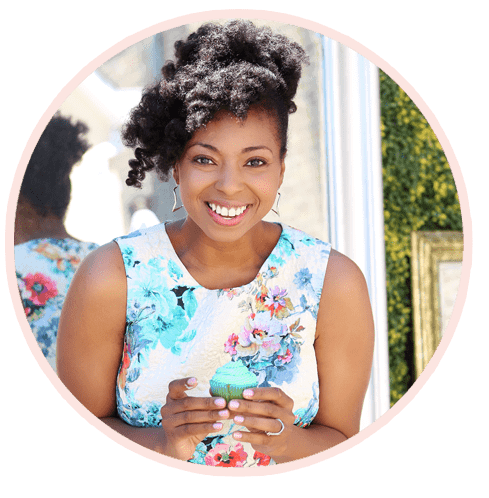 Hi Jocelyn…! such a this cheesecake looks amazing and so yummy, i can’t wait try to it. 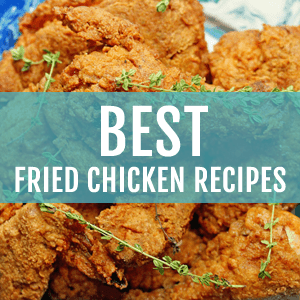 Thanks for sharing and keep shared your new incredible recipes….! Such a gorgeous cheesecake. I know my guest would be happy with such a lovely and impressive recipe. Thank you for such yummy recipes! I showed my mother,a sweet potato lover, your recipe that she wants me to make for her part this week. Just a quick question. 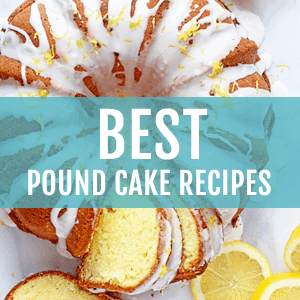 How did you make the beautiful white design topping? Hooray I hope you truly enjoy it. I actually just piped fresh whipped cream on the top using a star tip. Yum! 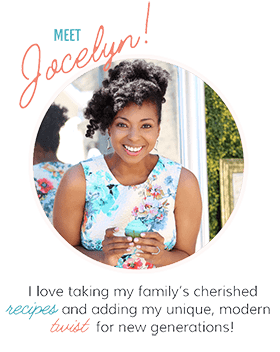 I would have never guessed that you can make a cake with sweet potatoes, Jocelyn. This cheesecake has the potential of becoming my new favorite recipe. Excellent idea! Hooray thank you so much! I wish I had a slice of this cheesecake sitting in front of me right now! I would devour it. That sounds great to me! Thanks for all the wonderful recipes, can I substitute for gingersnaps? Absolutely! And yes you can. You can use graham cracker crumbs if you wish. I literally want to eat this picture! It looks amazing! This will be on our holiday table, what a wonderful dessert! Hooray! I hope you enjoy! This is one perfect dessert! We love sweet potato pies and cheesecake so I can’t wait to try this. I’m a big sweet potato pie fan too! I could eat that whole cheesecake! Love it! I have to have this in my life! Gorgeous! I need this. Like, yesterday. That looks incredible!! So decadent and thoroughly scrumptious! Wow, Just… WOW. This looks absolutely, insanely incredibly amazing. NEED to try! YAS girl! Thank you! So good! I need this sweet potato cheesecake on EVERY table! It looks so incredibly creamy and delicious! Seriously every table sounds great to me! Oh, my! This is absolutely to die for! I love it from the crust to the tip! Wonderful! I think the crust is killer! I hope you enjoy! First paragraph about the crust. All is explained! Surely no issue. The mixture goes right into the springform pan after the last ingredient is mixed in. Sorry for the error you saw. Let me know if you have any more questions. It looks like something is missing from the instructions. Right after you mix in the flour, you say to set the mixture aside,. But then you immediately say to bake it. What size springform pan should we use? Is the pan buttered and floured first? I don’t want to mess this up….sounds delicious! We love sweet potatoes, so I have to try this pie. It looks incredible! Thanks so much! Let me know how it turns out! I’m pretty sure I’d be added to many more Friendsgiving celebrations once word is out that I’m bring this!! Looks like perfection!! This is the BEST combination of old and new!!! WOW!! I am so adding this to my Thanksgiving menu plan. Hooray!!! Let me know how it turns out for you.